Over the last few weeks and into July I ’ll be posting interviews with the authors who will be taking part in our Book Fair: http://www.narberthbookfair.co.uk/. Let’s start by you telling us why you write, Cheryl, please. I love reading, especially books that transport you out of everyday life. Writing is another form of escape for me. As a writer, you get to create an alternative world, be the villain or the hero, and dictate how the story ends, if the characters let you. I love researching. When I get an idea for a plot the first thought that comes to mind is, how is my character going to achieve his/her goal whilst not being the obvious suspect? This leads me to delve into forensics along with various weapons and poisons. Next, I consider the psychology of the killer, for this I research true crime as well as conduct interviews. I hope to give people some enjoyment and entertainment from reading my books. It would also be nice to have a best seller and be able to give up my day job so I can write full time. Characters that the reader cares about, who stay with you long after you have finished the book. I’ve written 5 books, three published. 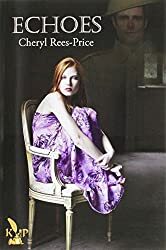 Echoes was my debut novel followed by The Silent Quarry and Frozen Minds, the first two books in the Winter Meadows series. If I had to choose a favourite then I would choose Frozen Minds. I enjoyed creating the unusual characters in the story, one in particular I grew very fond of. I consider my books crime fiction. My debut novel was a paranormal mystery, so a little different from my current books. I think I will probably stay with crime. What was the inspiration behind Frozen Minds. A relative was having a tough time at work with her boss. To cheer her up I suggested I make her boss a character in my next book. The character ended up becoming the murder victim. The writers revenge! 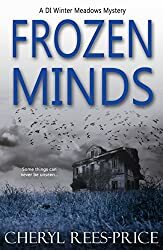 How long did it take you to write Frozen Minds? The book took about seven months to complete. My favourite part of the book was meeting the residents of Bethesda house for the first time. They have complex personalities and a unique way of communicating. The characters quite often hijack the story. I once created a love interest for one of my characters but when I came to writing the scene he just wasn’t interested, even though I thought it was a perfect match. Sometimes they don’t behave how I think they should. No, I am very ordinary. I‘m sure you’re not, Cheryl! I hand write my first draft. I have stacks of note books. I like to work in the garden or take a long walk. One evening whilst my husband was working away my teenage daughters and I snuggled up to watch a vampire movie. Half way through the film we were distracted by the cat climbing the curtains. On closer inspection, we discovered that he was chasing a strange furry creature that was scaling the nets. Having put the cat in the kitchen we moved the nets to get a closer look, the creature let out an ear piecing screech which sent us scurrying to the kitchen. Trapped in the kitchen my daughters decided we needed a hero to rescue us. The hero came in the form of grandma, who looked at the creature and declared, ‘It’s a bat, you idiots.’ The bat then took flight around the sitting room as the girls and I covered our heads and screamed like banshees. After the bat was persuaded to fly out of the window, the girls and I were scolded for frightening ourselves by watching vampire movies. I guess you’re never too old to be told off by your mother. I have a bird phobia. 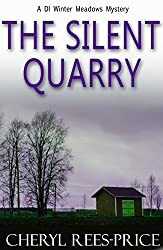 This entry was posted in #Blogging, blogging, blogs, Books, contemporary fiction, crime, Interview with authors, interviews, Murder Mystery, Narberth Book Fair 2017, pembrokeshire, Talks, Wales, Workshops, Writing Competitions and tagged blogging, books, marketing, novel, writing by Judith Barrow. Bookmark the permalink.